Every day in the European Union, more than thirty children are seriously injured and two are killed in road traffic collisions. More than 8,100 have died over the last decade. The impact of these deaths and life-changing injuries on families and communities is immeasurable. But they also carry an economic cost, which diverts resources that could have been used for education, improving health or other social goods. Children are particularly vulnerable road users. They lack experience and are less visible to other road users due to their small stature. Children are also often unaware of the risks they take unintentionally, and more easily become innocent victims in collisions. But these numbers of deaths and injuries are not inevitable. Indeed road deaths amongst this group have declined over the last decade, and at a slightly faster rate than deaths amongst the general population. Improving road safety for children can be achieved through a combined set of measures to address the behaviour of all road users: upgrading the road environment, designing vehicles that better protect both their occupants and those outside the vehicle, enforcing traffic laws, promoting correct use of appropriate child restraint systems, improving road traffic education and awareness raising. 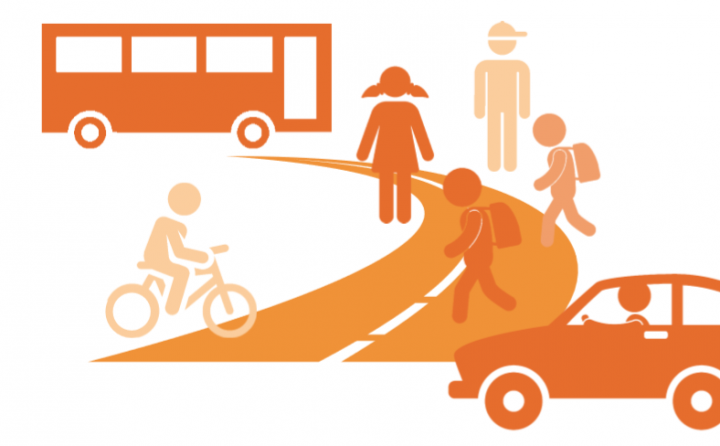 A policy focus on child safety resulting in actual safety measures might also lead to a general improvement in road safety for all road users. 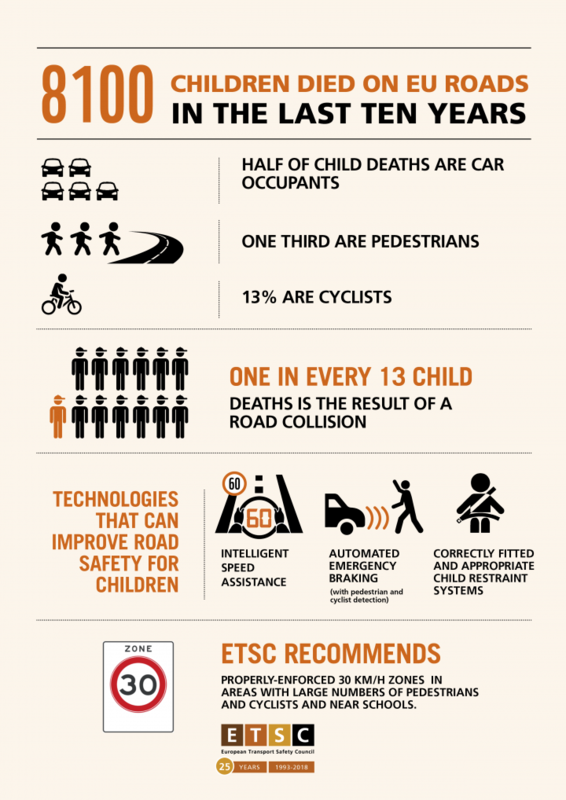 Part I of this report examines the latest data on child road deaths from across the EU and other countries that form part of ETSC’s Road Safety Performance Index (PIN) programme. As well as showing the differences that still exist between countries, it gives examples of policies that have led to faster progress and areas for improvement. Part II looks at the main measures for reducing the risks to children including vehicle safety, child restraint systems, improved infrastructure, mobility policies and education, helmet use, pre-hospital care and licensing of young drivers who, in some countries, are able to ride a moped or scooter at the age of 14. Recommendations for national and EU policymakers are made throughout, and a shorter list of priority measures is given at the end of the executive summary.